The Nurse’s Story The Real Experience of Nursing. What they won’t tell you in Nursing School. What feelings are normal? What do you do the first time a patient dies on you? What if you make a mistake with meds? What do you do if you think the doctor is doing harm? The Nurse’s Story is a unique account of Teri Daley – a nurse like you, a young nurse with idealism and the real need to help others. But what happens when she experiences the reality of nursing? In this book, you will discover the stories that put the nurse in situations that can be used as suggestions for action or cautionary tales. Enter your name and email below to get your FREE Chapter of The Nurse’s Story. Yes! I want a FREE Chapter Of Nurse's Story! Strategies that you need to help you cope and defend yourself in this tough industry. Answers on how to deal with the greatest professional hazard: Burnout. A shattering, exhilarating book. A tribute to human dignity and courage. Gritty and honest. It has a fierce compassion. Carol Gino has written a wonderfully moving book. She tells The Nurse’s Story with just the right blend of emotion, compassion and wisdom. Author of "When Bad Things Happen To Good People"
A must read for every RN! 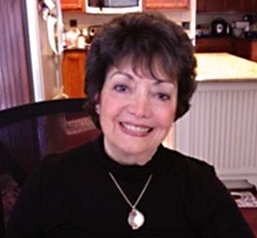 Carol Gino is a registered nurse with an M.A. in Transpersonal Psychology and whose long career has included experience in almost every area of healthcare, from critical care nursing to hospice to teaching. 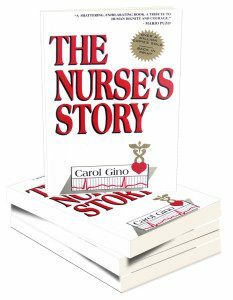 The Nurse’s Story was her first book, and her articles have appeared in New York Magazine, Nursing, American Journal of Nursing, and The Chicago Tribune. Carol has completed several cross-country media tours advocating for patient rights and to change the image of Nursing. Several book clubs featured The Nurse’s Story and it has been published in over 9 foreign countries.